The testers were effectively useless, because they all smelled very faint and similar to each other. Worse still, several Hand Creams didn’t even have a tester. 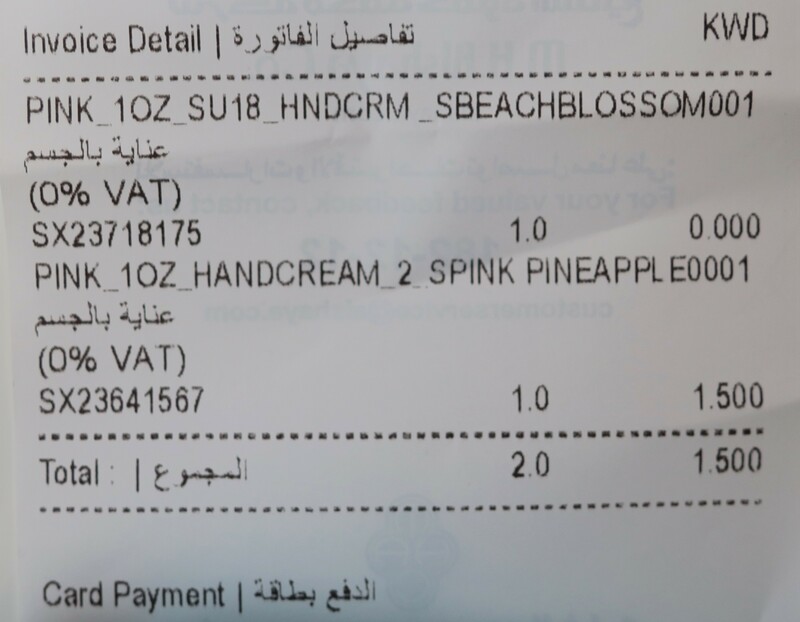 I ended up going with Beach Blossom because the tester sorta’ smelled appealing to me and Pink Pineapple (no tester available), because generally, I tend to get along really well with pineapple scents. These Hand Creams are so tiny that they’d be perfect for some of the smaller bags (waist-bag/belt-bag/bum-bag/fanny pack, clutch, microbag, etc…)! Personally, I got them so I could stash ’em in the arm-rest compartment of my car, as a back-up, for when I forget to moisturize (which happens more often than I’d like) or when I’ve already moisturized, but due to some over-zealous hand-washing while I’m out and about (for example, while visiting someone at the hospital), need some on-the-go moisturization (to replenish the moisture in my hands). Having dry hands just bugs me, especially when I happen to brush them against certain textures, like wool or whatever. Also, it’s not a good look, particularly when wearing jewelry, and if I’ve gone through the trouble of painting my nails, having dry hands ruins the effect. I haven’t gotten around to using either one of these, because I’m currently working my way through my mini Sea-Tox Seaweed Body Cream (haulage here), but I don’t feel comfortable leaving it behind in my car (too attached to it lol), which is where these Victoria’s Secret Hand Creams come in. Although cute, I’m not as invested in either of the two, meaning I can stash one in my car and the other at my desk at work, and totally forget about them (I wouldn’t even be bothered if I went for weeks or months without seeing/using them), unlike the Sea-Tox Seaweed Body Cream which has become my daily (if not hourly lol) “go to” and I’d be absolutely devastated (dramatic much?) if I lost it, which is why I keep it with me at all times (stashing it in my car at the start of the day and carrying it back inside at the end of the day… every day lol). The Hand Creams retail for KD 1/500 each, but were either reduced to KD 0/750 or were Buy One Get One Free. Either way, I only payed KD 1/500 for both.